Shop@MustardSeed: The Plural of Mongoose? They’ll be thanking you and saying: may God bless you! 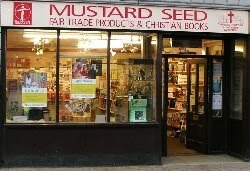 When buying at the Mustard Seed it’s blessings that you‘ll get! P.S. What IS the plural of mongoose?